A retired bank president, a longtime principal and a woman active in school issues are leading the campaign to win passage of two Mansfield City Schools renewal levies on May 2. The levies would not increase taxes, only maintain what voters approved in 2013. Serving as co-chairs of the levies campaign are Debbie Schenk, retired president and CEO of Mechanics Bank; Doug Castle, former Simpson Junior High principal who now works with Jim Tressel, president of Youngstown State University, and Teana Sykes, who two years ago served as co-chair of the Springmill Learning Center steering committee. 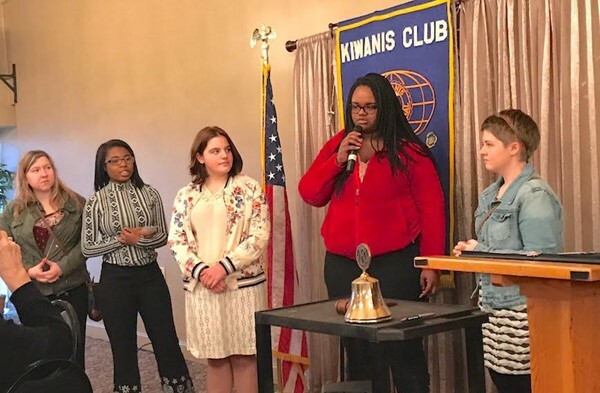 Senior High Key Club member Cameya Tanner outlines some of the club’s service projects. From left are club members Ke’Aura Johnson, Johnnice Nared, Grayson Antreassian, vice president, and Faith Owens, president. A 2001 graduate of Mansfield Senior High School, never forgot her Tyger pride or the teachers who encouraged her dream of becoming a teacher. During her senior year Brandy enlisted as a transport operator with the Ohio Army National Guard. During her time in the military she earned a Purple Heart, an Army Accommodation Medal and a Humanitarian Service Medal. 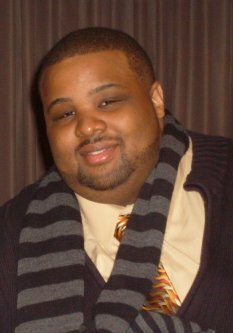 After serving as president of the Mansfield Senior High School Class of 2001, Brandon Gaddy when on to earn a bachelor’s degree in business administration and master’s in education at the University of Toledo. Since 2005 his work in higher education has taken him to the University of Toledo, the University of Michigan and, most recently, North Central State College. 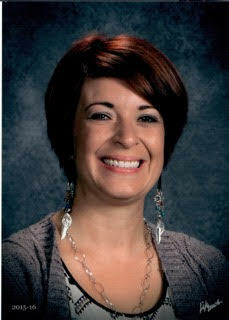 He has served in several student development and leadership development roles.